All Students Must Memorize A-Z, before proceeding to the next level. These are the basics of our system and will prepare you for more challenging systems in the future. The Salute is what we do at the beginning and the end of every class. It represents the duality of life, the Yin and Yang, The Warrior and Scholar. In 1980 the idea of “Conceptual J.K.D.” appeared. This came when the art began adding pieces from many more styles such as Brazilian Jiu-Jitsu, Muay Thai Kickboxing, Filipino Kali, & Silat. Simply putting it: Since many wanted to retain some of what Bruce was originally teaching, while others saw continued evolution as the ultimate lesson and goal, the name split appeared. Core arts: Wing Chun, Boxing, Fencing. Sub arts: Savate, wrestling, Jujutsu and more. Click here to watch a documentary though you should really read the Tao of Jeet Kune Do, which he wrote. There is too much to cover here in one sitting. Remember the following points, then begin to read and consume as much information as you can. J.K.D. motto: Using no way as way, having no limitation as limitation. J.K.D. creed: Absorb what’s useful, discard what’s useless, add what is essentially your own. Economy of motion –Controlling all muscle contractions, and tension during the execution of all movement. Understanding proper structure for your body and movements is key to understanding the basis of many of the techniques that we practice. A grasp of the concept of centerline should be emphasized. "Siu Nim Tao / Si Lim Tau / Si Lim Tow" can be used as a form of moving and breathing meditation. In addition, it increases student concentration and focus. The form is also used extensively to develop proper structure, muscle memory & forward energy in Wing Chun practitioners. The human body repairs itself and adapts to the conditions it is put under. For a thousand years, and more recently in modern MMA and the U.S. Marine Corps, body hardening techniques are applies to condition and strengthen the bones (through microfractures you allow to heal) the nerves (it dulls the nerves and reduces pain in the area later down the road) and your mental strength (dealing with pain). Start slow and one day you’ll notice a real difference. Proper shifting in Wing Chun requires the hips and the feet because it’s what generates the force behind our strikes and blocks. Base shifting allows you to keep your balance and generate power while removing yourself from your opponents attacking line. By-Jong Ready Position – Inside of lead elbow on centerline. Footwork is the most important tool in fighters arsenal, for both the attack and the defense. You move in such a way that reduces your exposure to attack, while maintaining your ability to counterattack. Quick defense and a threatening ability to commit to offense. Just watching the video and going over the basic movements -literally a thousand times a week if possible- is the quickest way to become a proficient martial artist. Everything is built upon footwork. Whatever direction you move, that foot moves first. Bruce lee said that shin-knee side kick with the front leg is the fastest and most direct strike that we must use frequently as an offensive or defensive technique. Don’t telegraph your intentions or you’ll get hit first. This principle makes use of the way that a fire hose behaves when water thrusts though it into its walls. The force of the water causes the hose to suddenly jerk to a straight position in the direction that the water is flowing. This happens very quickly. When striking an opponent, imagine that your shoulder is the opening from the hydrant and the water is going to flow in the direction of your target. When the hydrant is turned on, your arm, forced to do so by the powerful surge of water, shoots straight as an arrow to the target that you are intending to strike. The principle that body segments generate high end-point velocity by accelerating and decelerating adjacent links, using internal and external muscle torques applied to the body segments in a sequential manner from proximal to distal, from massive to least massive, and from the most fixed point to the most free point. Nerdist.com and Popular Mechanics had some great articles (here and here) discussing the kinetic linking of the body and how it is tied to the physical structure of the brain. It is something you learn and develop over time - and your brain and body adapt to it. It is the link that both Tim Linecum and Bruce Lee share - The learned ability to focus your entire body into a single point of pressure. Scientists compared the punches of general athletes versus those of martial artists. While it was evident that the martial artists were hitting harder - the reasoning was a bit surprising. It was not simply overall body strength or even the speed of the strikes that accounted for the disparity - it was found that attacks that maximized the peak acceleration of multiple muscle groups together accounted for the increase in power. This creates the maximum possible mass in the punch at the highest velocity (more on that in a minute). Apparently, this is level of interbody coordination is directly related to the development of white matter in the supplementary motor cortex. Luckily, this white matter can be developed over many years of training and practice. This technique is based on the concept of sustained and overwhelming offense as a means of forcing your opponent onto the defensive. You attack with fists perpendicularly above one another and moving them in a circular motion (starting forward and downward) in a tight formation. This is intended to throw off the opponent by dealing a barrage of centrifugally forced punches at the center of the opponent's mass. In some of his books, Bruce Lee mentions how boxers would scoff at this 'funny' looking technique, but when they were not expecting it in sparring matches, they would take the brunt of the attack, be thrown off guard and defeated. Adds range to your attack as well, versus a typical jab. Sliding leverage can be applied against both the inside and outside of the attacker's attacking arm. Sometimes referred to as "cutting into the tool", youl simply slide off the line of attack and intercept from an angle by striking into the opponents tool. The Wing Chun wooden dummy uses an arm and leg configuration has three arms and one leg, which represents an opponent's body in various positions and the lines of force the body can give out. The wooden slats on which the muk yan jong is mounted has a springiness that is similar to a human opponent's involuntary reaction and allows the user to practice absorbing energy into his/her stance. The Wooden Man teaches your body and mind to be tough, and your muscles to endure collisions as well. 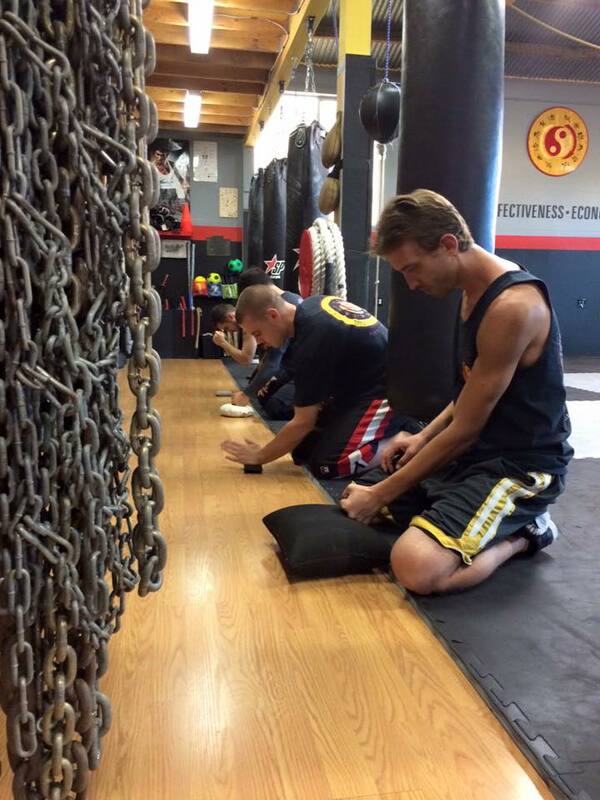 Training Rattan Rings help teach the practitioner to keep their hands properly linked in attacks and defense. Much of the offensive and defensive techniques we use require advanced coordination between both of your hands. These drills are built to emphasizes correct positioning, relaxation, and sensitivity toward your opponents intentions. These drills ingrain a necessary muscle memory that you will need when applying self defense techniques with split second precision. Trapping is incredibly difficult against a skilled opponent, but the concepts transcend into a number of other combat technique, and can be used by those with enough skill. Once trapped you can control your opponent - allowing you to limit the damage done to either of you. Usually this is done by pressing his arms into his torso, effectively “trapping” his arm with yours, and limiting the muscles he can utilize to free his limb - this usually allows for a few moments with which to land a clean strike or begin a combination. Learning to use your body is key in self defense and all of the martial arts. Getting up and down safely and correctly is obviously part of that. This techniques also allow you to train throws and take-downs with partner with minimized risk. The Mook Jong Sets give you a set structure to work, in order to ensure you are working the full range of your techniques on the dummy. Almost all movements within these sets translate into real world applications. 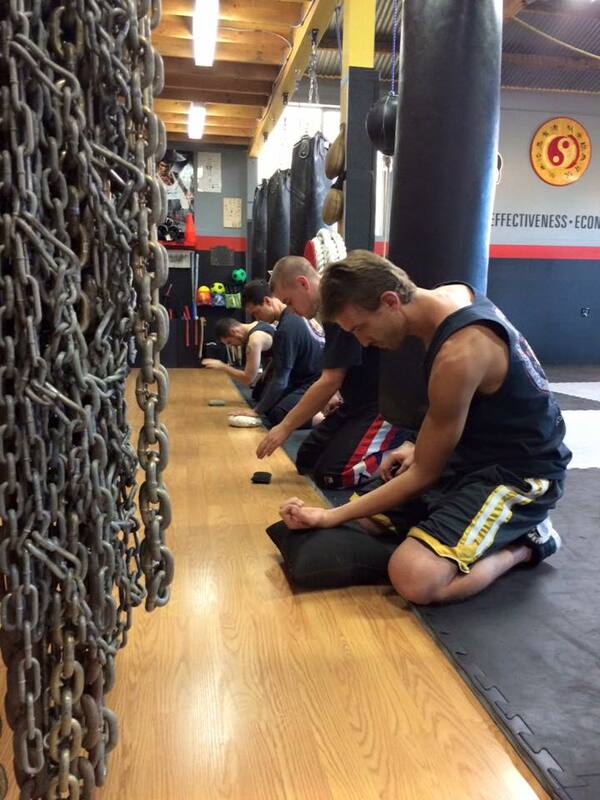 The “Gates” of Wing Chun separate your body into even sections, in order to help you divide and construct a defense. Think high inside, high outside, low inside, low outside. Each of these sectors, in relation to your torso, has a set defensive and counter response that you practice. In other words, the type of attack is fairly irrelevant; it simply matters towards which of your zones they are attacking. By “filling space,” since no two objects can occupy the same space at the same time, you can create angles of deflection and redirection that does not rely on strength or over complicated movements. This simplifies your movements for maximum effectiveness.